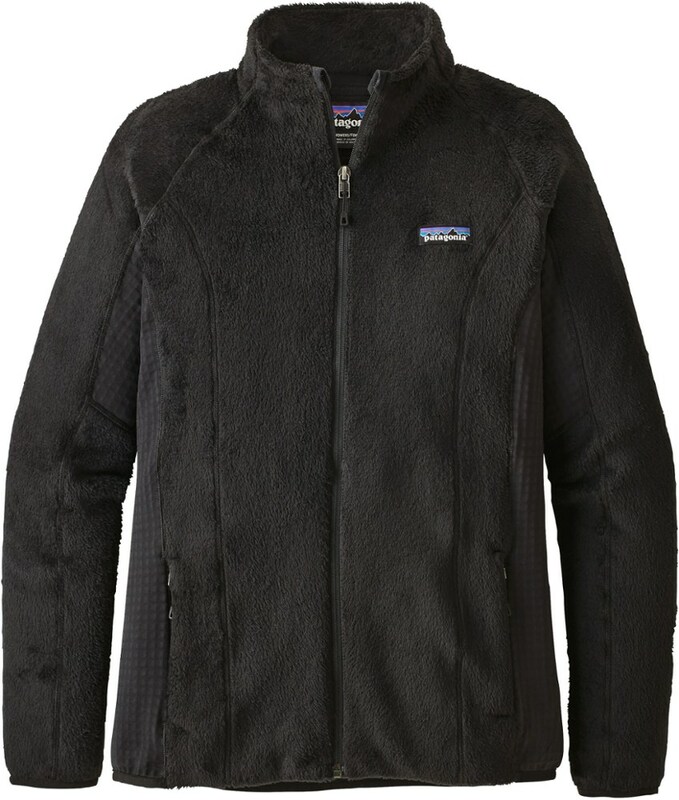 Functional features and durability outshine the peculiar trendiness of this workhorse fleece. 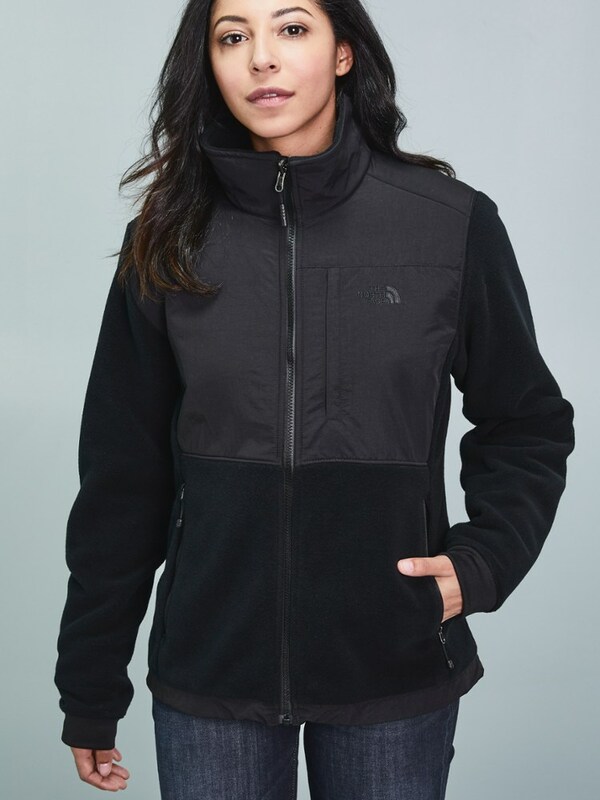 The ubiquitous TNF Denali is a workhorse 300 weight Polartec fleece with double nylon covering the collar, shoulders and upper body, elbows, and hem. There is a vertical chest pocket and two side pockets, all zippered and featuring somewhat flimsy ribbon pulls. The sleeve hems are slightly elastized; the bottom hem has an elastic drawcord which is useful due to the jacket's boxy shape. I own two Denalis (one is 7 years old, the other is 5) and can attest to their durability and smart design. The Polartec fleece wears well and doesn't pill terribly, but the areas that would show wear the soonest, elbows and shoulders abraded by pack straps, are protected by durable nylon so the fleece remains in great shape. I use the Denali as a topper or jacket because it is very roomy and boxy and doesn't layer easily under athletically-shaped shells. 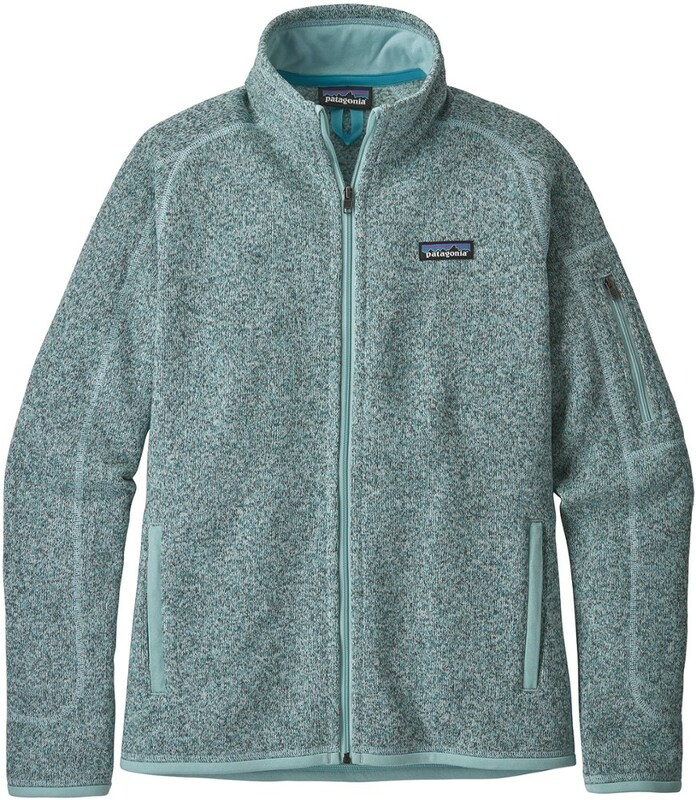 A Patagonia down sweater can fit underneath for extra warmth. Overall a great piece of gear with enduring design that is worth owning despite its weird "fashion item" status. I love this jacket! I use it most of the year around, and it's so durable and warm (despite accidentally putting it through the dryer). I love this jacket! I use it most of the year around (for about 4 years), and it's so durable and warm (despite accidentally putting it through the dryer). It's very functional and works great alone or as a layer under an even thicker coat. This jacket provides mild warmth support. It is not meant for extreme cold temperatures. I would recommend for the fall and/or mild temperate regions, such as Atlanta-- def not Denver or Chicago. 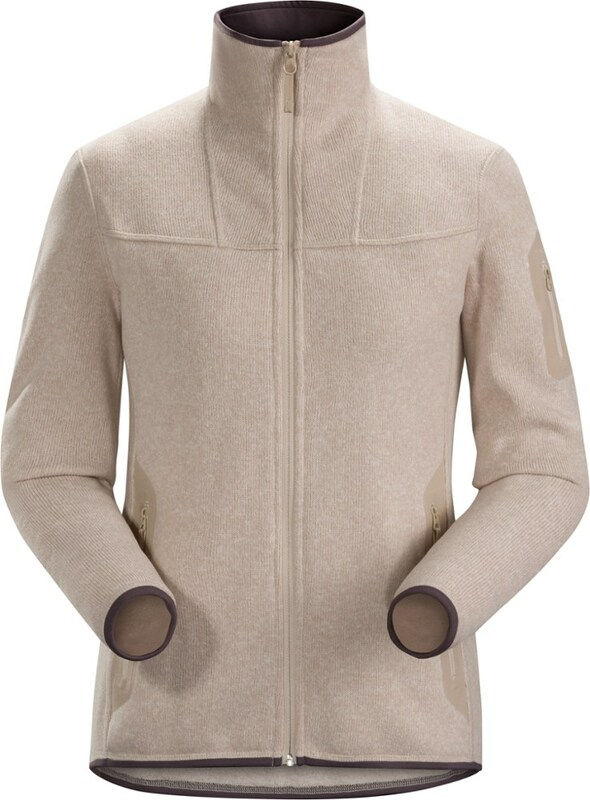 The look of this jacket is nice, but the inside is mediocre because it lacks any kind of fleece or other warm material. Therefore, it's great to layer underneath. If you are looking for a nice coat to throw on in the fall, go for it. But if you are legit cold, keep looking. This jacket is perfect for cool to cold temperatures. This jacket is perfect for cool to cold temperatures. Surprising amount of warmth for the weight of it. Love the colors too. I wear a small-med on top and the medium size was perfect for me. This jacket is ideal for layering in cooler temps. The quality of the construction is fantastic and fabric is very soft. The colors are also fun. A great lightweight fleece for any sort of outdoor adventure. 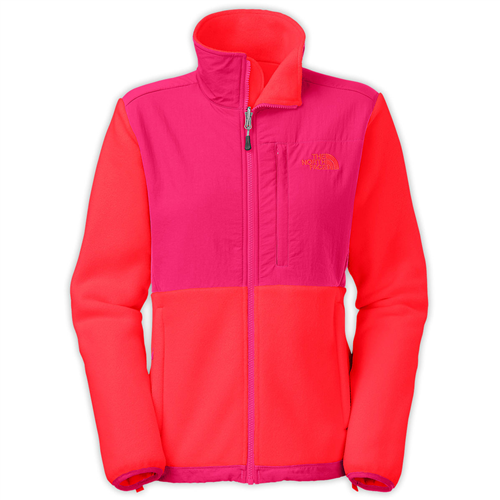 The North Face Denali Jacket is my all time favorite jacket! 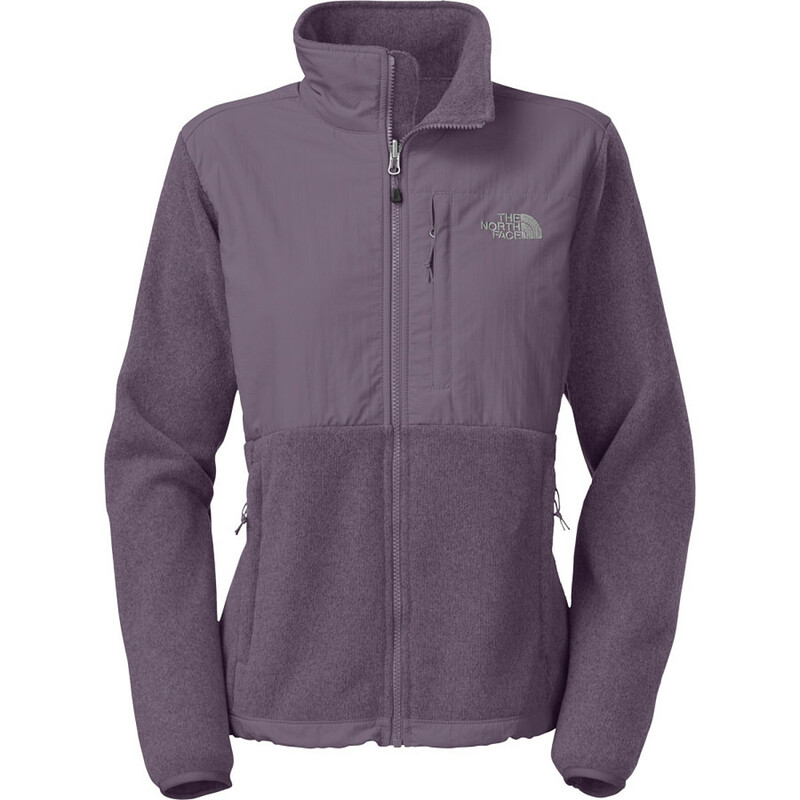 The North Face Denali Jacket is my all time favorite jacket! It is so comfortabl, and keeps me warm at all times! Not to mention it is very cute! 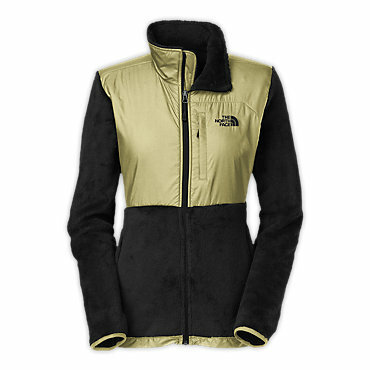 I will always pick North Face when I'm picking out a jacket for winter! I know I can always count on them to keep me bundled up! I love this jacket. It is perfect for anything. The cuff elastic is a bit uncomfortable in the 2011 model year (older version much better) and the metal glove snap can be irritating if you use your lap top or a rifle, as it will scrape, while wearing this jacket. The other features of the jacket are up to North Face's usual polar fleece 5 star ***** rating. The best use is hiking or backpacking with the easy slide no pack strap pilling strap area fabric. Also works well with layering clothing. The boxy fit and styling are not really my 1st choice for casual wear or car touring.